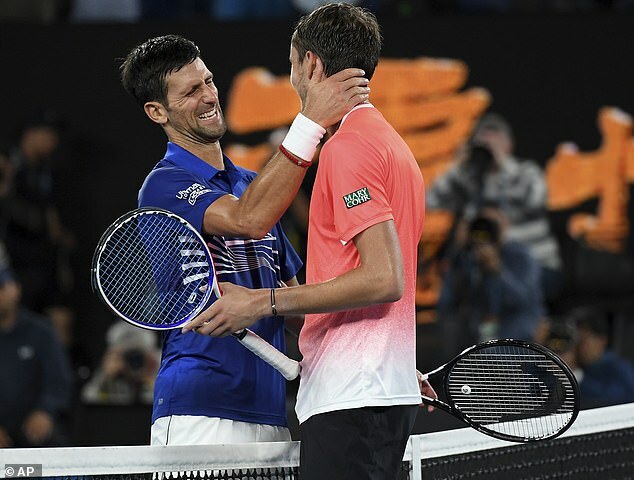 Novak Djokovic overcame the tricky challenge of Daniil Medvedev in four sets to book his place in the quarter-finals of the Australian Open. 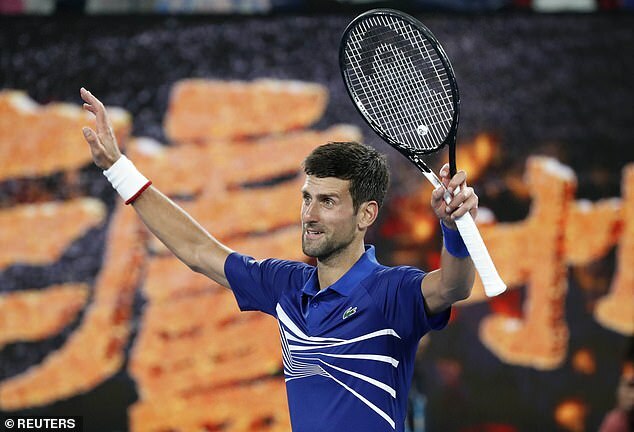 The Serbian, aiming for his seventh title in Melbourne, defeated his Russian opponent 6-4, 6-7 (5/7), 6-2, 6-3 on the Rod Laver Arena. 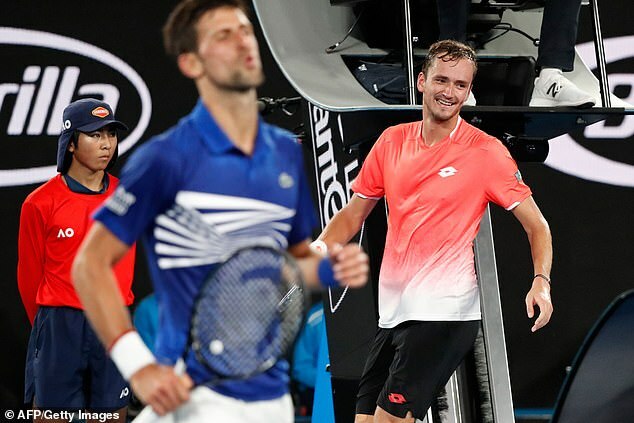 After Stefanos Tsitsipas’ victory over Roger Federer on Rod Laver Arena on Sunday, Medvedev was trying to strike another blow for the next generation against the old guard. The Russian is a fiery character and had talked up his chances ahead of the match, claiming Djokovic was not the same player as at his peak and there would be chances to beat him. 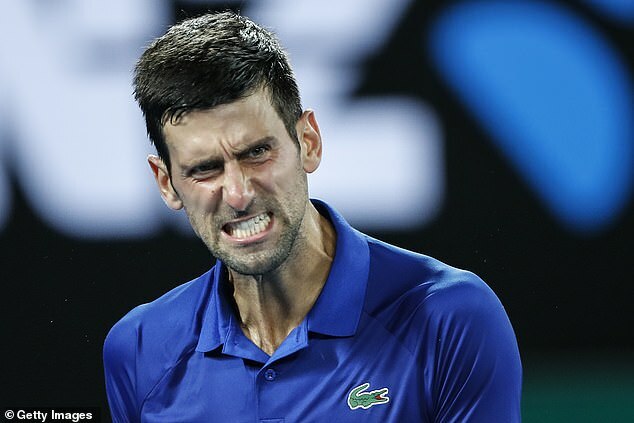 He did have chances but ultimately could not take them, although it was Djokovic who was angry after allowing the first two sets to become complicated. The world No 1 salvaged the situation after being broken serving for the opening set but then saw a 4-1 lead slip away in the second to his obvious frustration. He fought back from 2-6 down in the tie-break but Medvedev took his fourth set point on a mammoth rally. Djokovic eventually wore his young opponent down but it took him three hours and 15 minutes to get across the finish line. 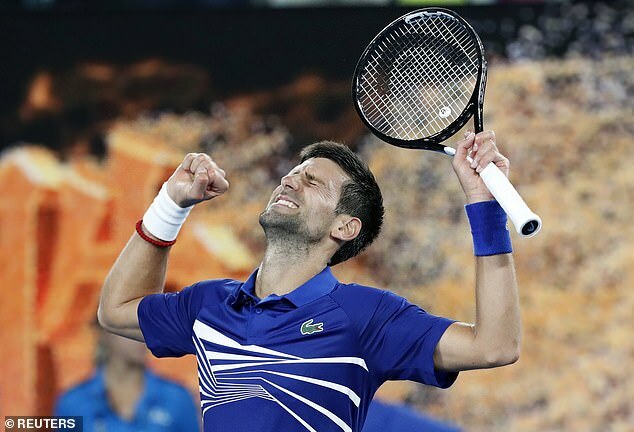 Asked in his on-court interview how he was feeling, Djokovic said: ‘Since I guess my next opponent is watching, I’m feeling fantastic, I’ve never felt fresher in my life. ‘It was definitely a physical battle, Daniil has been playing some really good tennis in the last six months. It was difficult to go through him, I just had to find a different way.